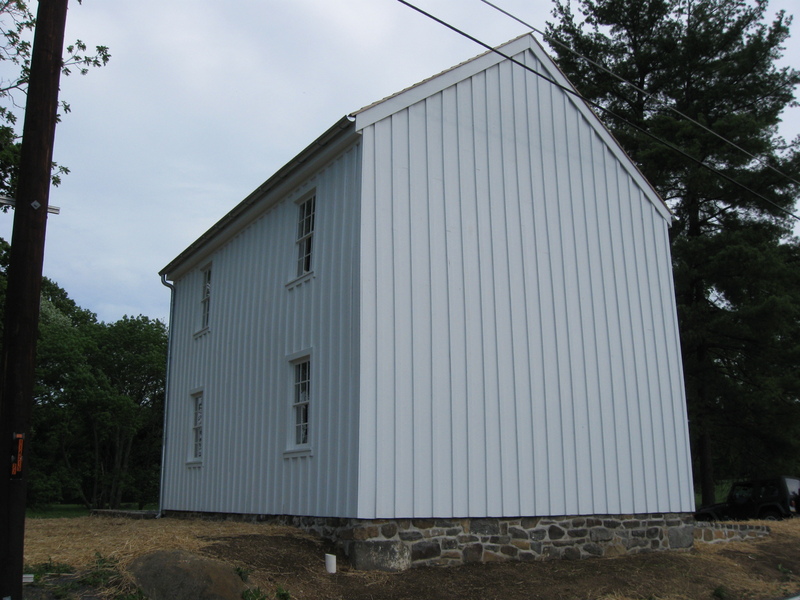 The board and batten siding has been completed on all sides of the William Patterson House. The scaffolding around the structure has also been removed. This view was taken facing north at approximately 4:30 PM on Monday, May 3, 2010. 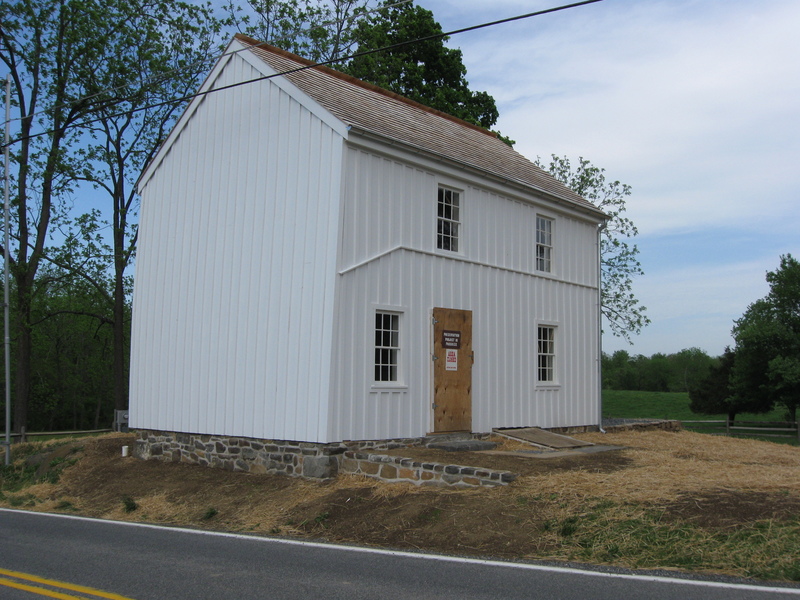 Gettysburg National Military Park’s William Patterson House, located east of the Taneytown Road, between the junction with Granite Schoolhouse Lane and Hunt Avenue has now been completely enclosed by board and batten siding. 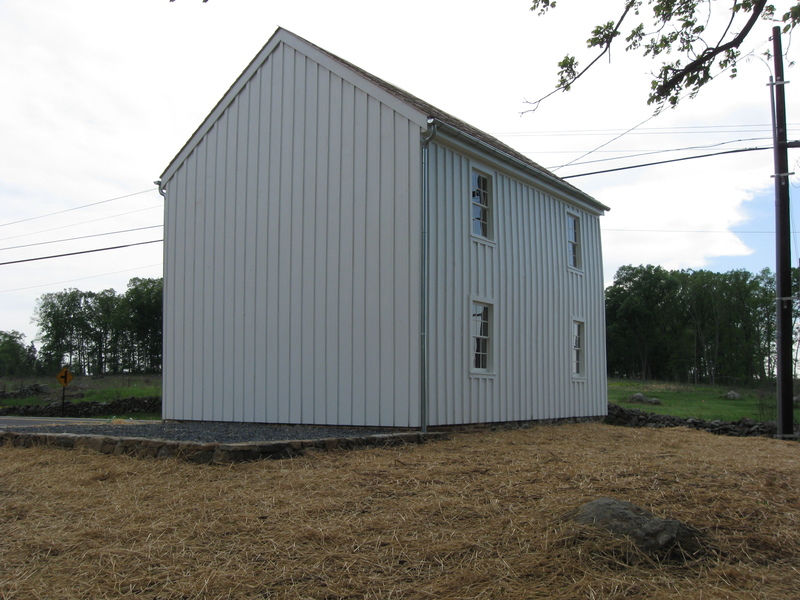 The scaffolding has been removed, and grass has been planted around the house. The Taneytown Road is in the foreground. This view was taken facing northeast at approximately 4:30 PM on Monday, May 3, 2010. Landscaping/planting of grass might not be doing too well in this area. The straw that used to be on the bank, below the house, is gone, probably blown away by the fast moving traffic on the Taneytown Road. This view was taken facing east at approximately 4:30 PM on Monday, May 3, 2010. This view was taken facing southeast at approximately 4:30 PM on Monday, May 3, 2010. 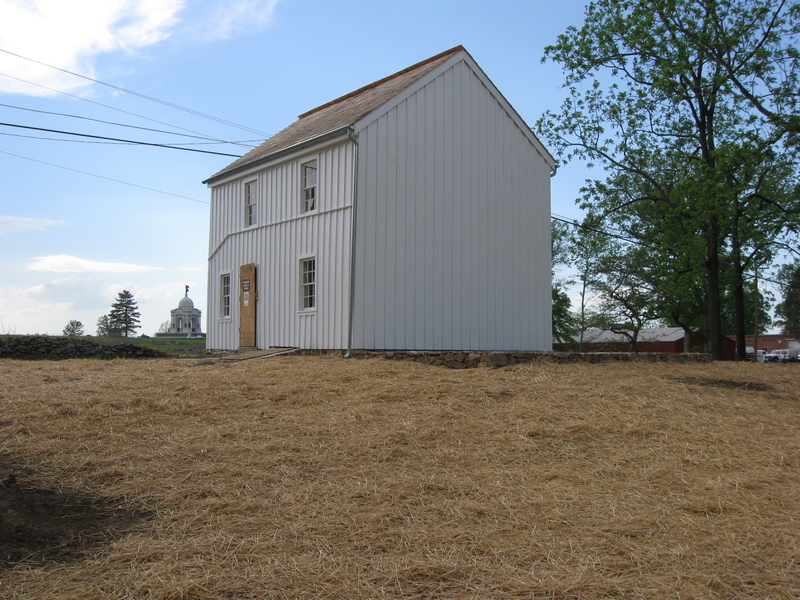 Lots of straw now on the north side of the Patterson House. This view was taken facing south at approximately 4:30 PM on Monday, May 3, 2010. Now more work has been completed on the kitchen foundation… This view was taken facing southwest at approximately 4:30 PM on Monday, May 3, 2010. … and that is because the National Park Service is finished with the kitchen. This is all that will be reconstructed. This view was taken facing west at approximately 4:30 PM on Monday, May 3, 2010. 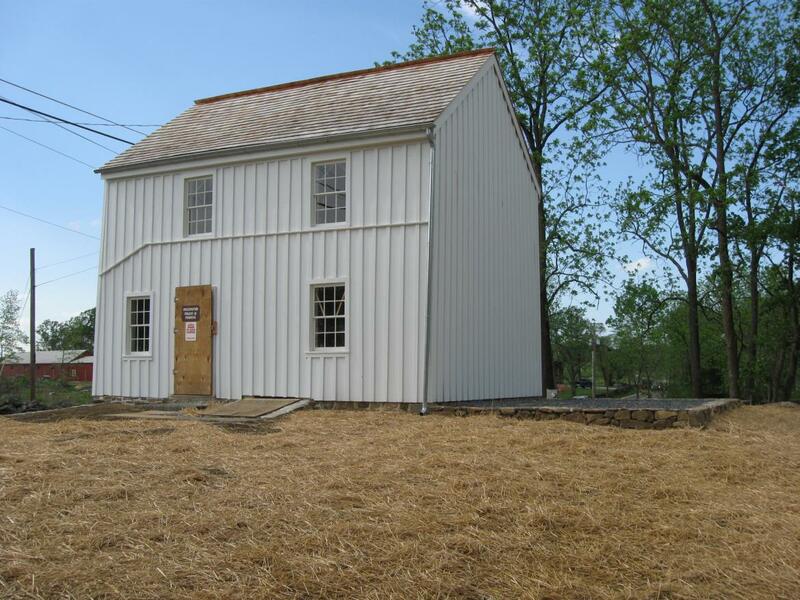 National Park Service spokesperson Katie Lawhon informed us, “We have a few minor things to do but the Patterson House is mostly complete. 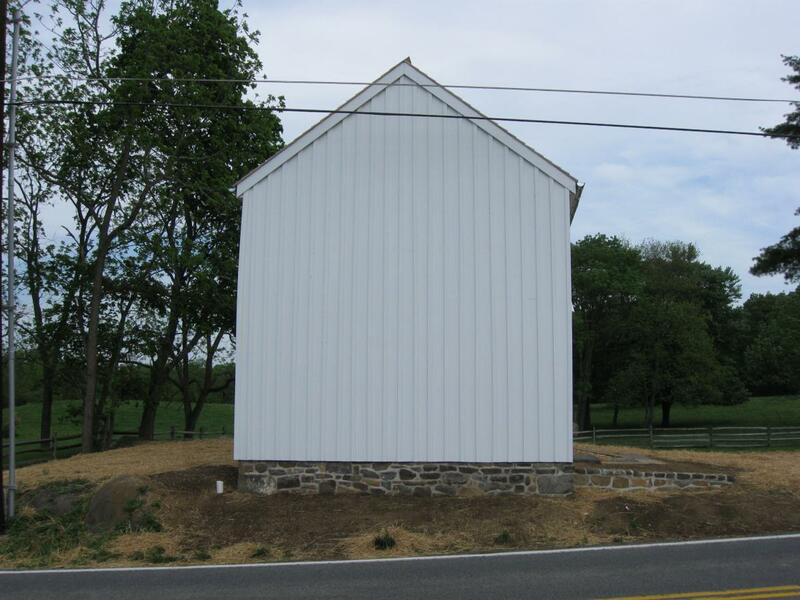 There was not enough documentation to allow us to reconstruct the ‘kitchen’ addition. The Secretary of the Interior’s Standards are quite specific regarding rehabilitation and reconstructions. 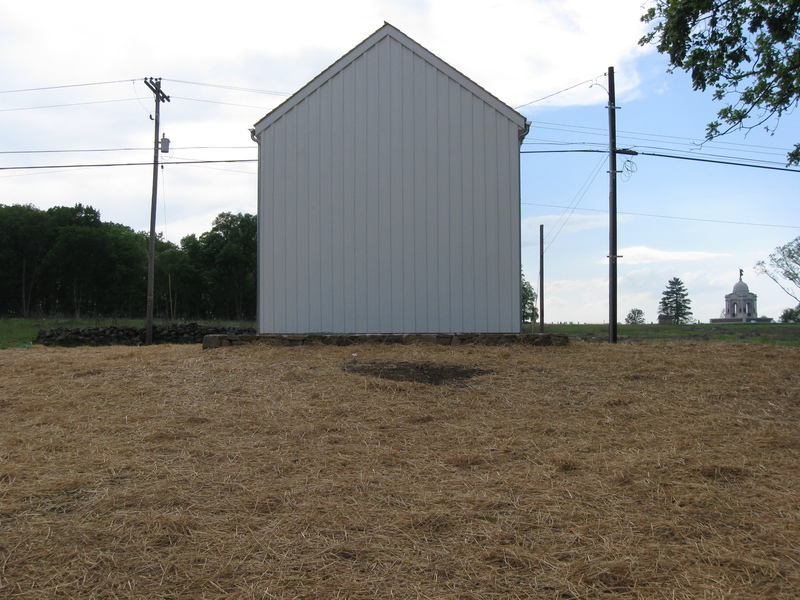 The best we could do was to keep the existing foundation in place as that was a ‘known’ feature.” This view was taken facing northwest at approximately 4:30 PM on Monday, May 3, 2010. 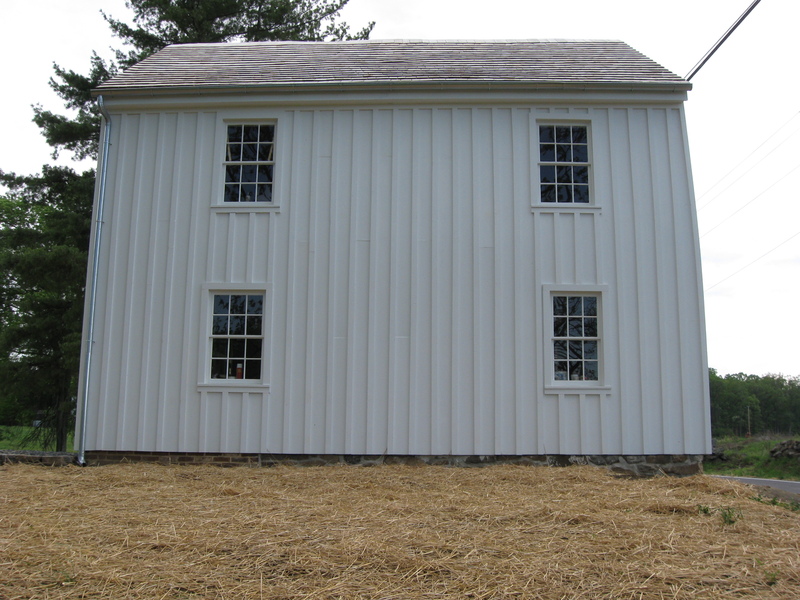 Katie continued, “No shutters are planned since the historic structures report did not document their existence. 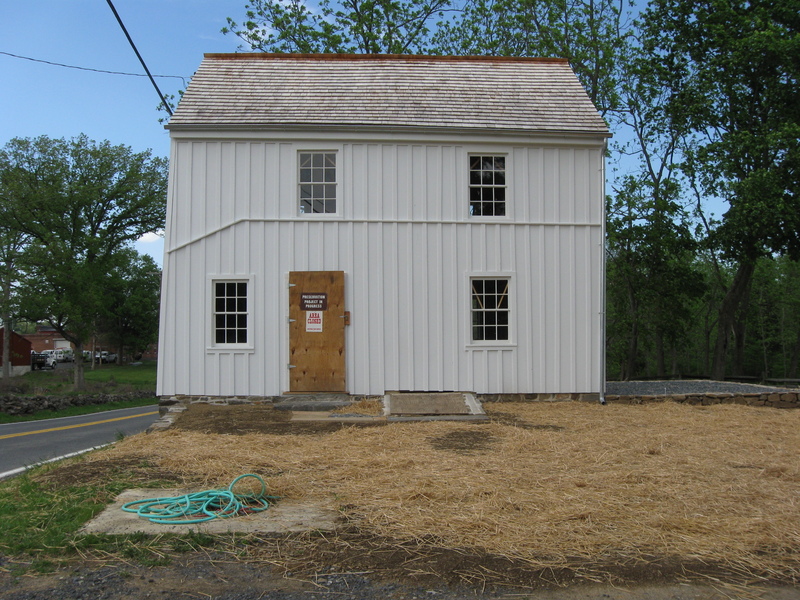 Once we are finished, the exterior of the building should look the same as it did before we did any work on the house- only in much better shape and preserved for at least another generation or two!” This view was taken facing northwest at approximately 4:30 PM on Monday, May 3, 2010.